Automatic operation system is necessary for Melt Shop in order to achieve more efficient and stable operation. 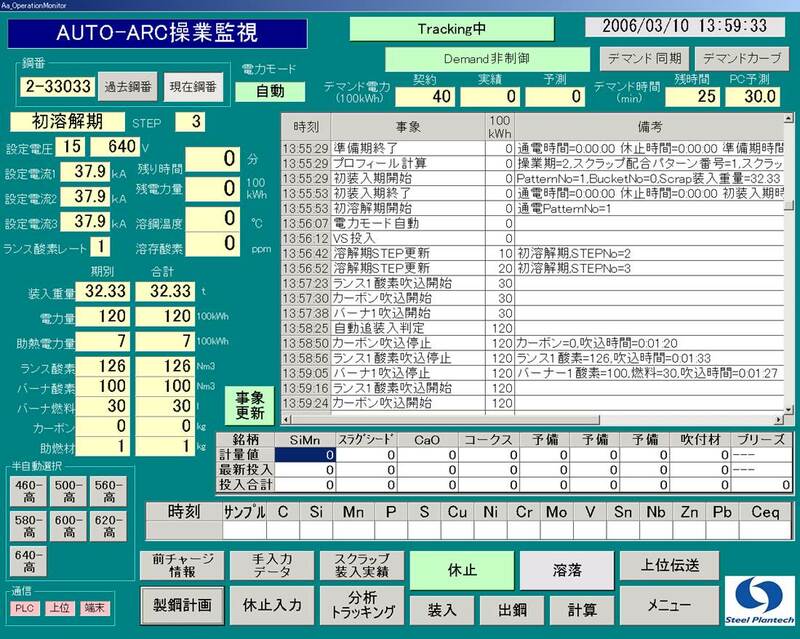 For the solution to such a needs, Steel Plantech offers the AUTO-ARC (for Electric Arc Furnace) and AUTO-LF (for Ladle Furnace) as high quality and low price computer system. 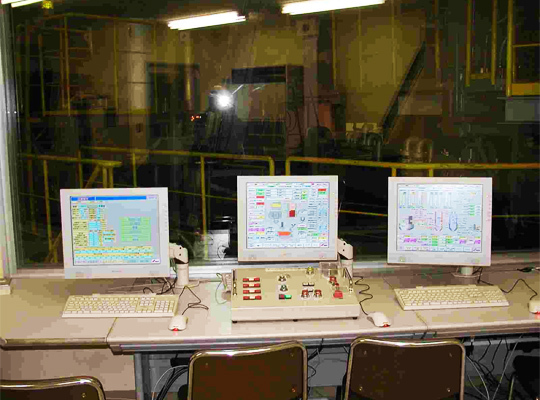 Both the AUTO-ARC and AUTO-LF provide not only automatic power input control but also a wide variety of functions for the improvement and standardization of your operations, including management functions such as monitoring and control of the facility, data collection, operation report, daily report, monthly logs, and statistical analysis of the collected performance data. 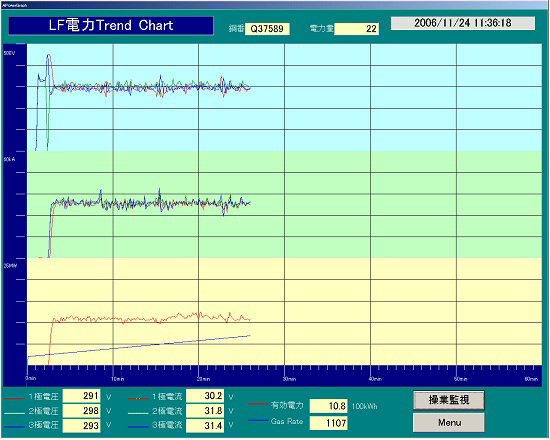 Suitable power patterns by scrap, power, fuel additive and time slot can be pursued through the operational data analysis function, which is based on the pattern power control function and additional scrap charge/melt down determination control. 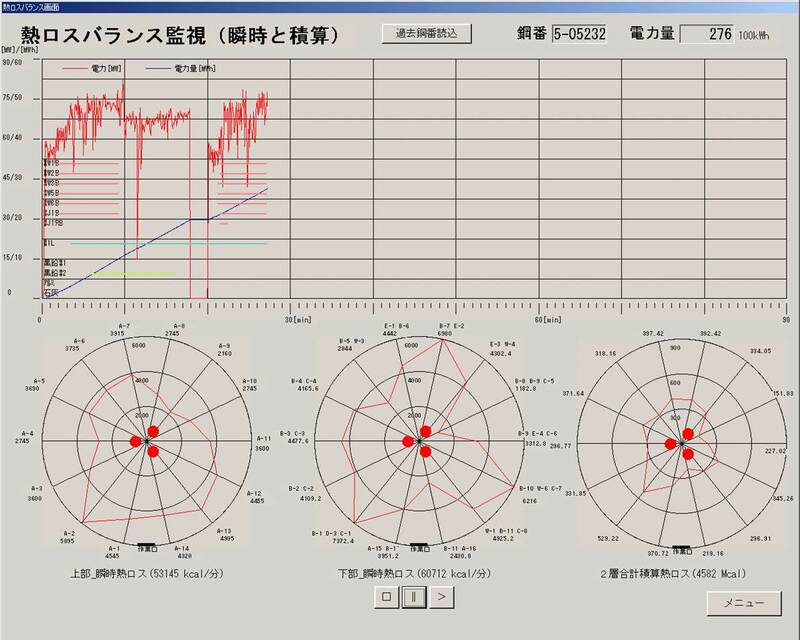 Flicker control and power demand control can also be provided. 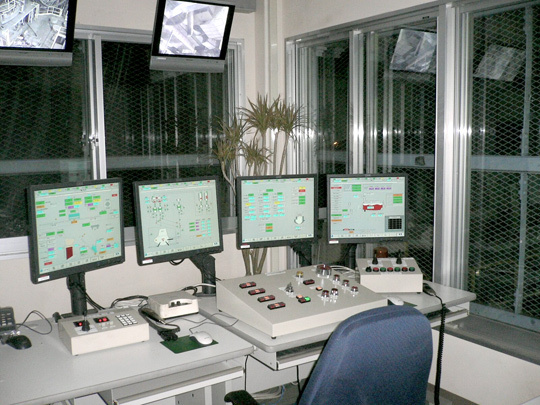 The reduction of power and refractory consumption can be achieved through hot spot control, slag foaming guidance, heat loss analysis and other functions distinctive to the AUTO-ARC. 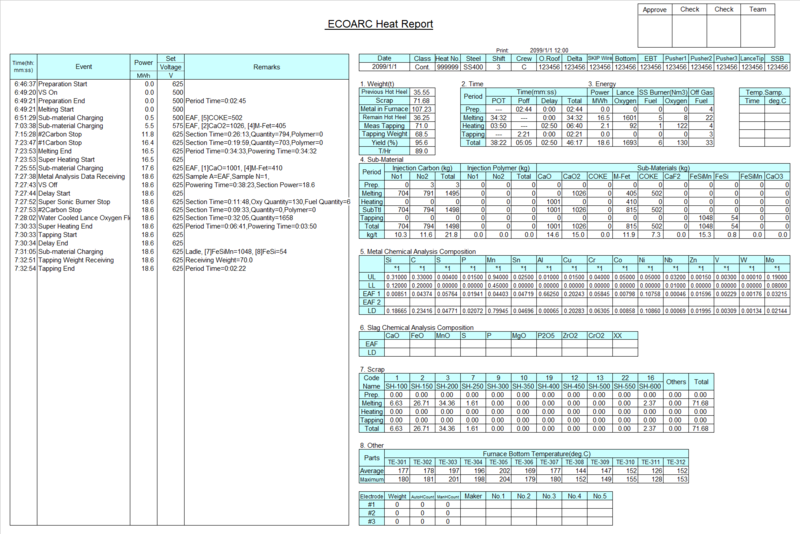 Records of each heat event, power/auxiliary fuel/auxiliary materials, analytical values, etc., are collected, and data for more than 10,000 charges are kept. A diverse range of functions for the improvement of operations are provided, including reporting functions for operational logs, daily logs, and monthly logs as well as statistical analysis functions to support the evaluation of operations from past performance data.